Manila, Philippines—UL-Dagupan Team A from Pangasinan and Discovery Perlas are the new champions of the NBA 3X Philippines 2018 presented by AXA Men’s Open and the Women’s Open divisions respectively at the SM Mall of Asia Music Hall on Aug. 26. The two teams bested their toughest competition in the finals, with the young team from University of Luzon composed of Mario Angelito Torio, Reynald Ballesteros, Robert Caasi Jr. and Julius Tiburcio outlasting their physical match against Metro-Manila-based SAN-C. Discovery Perlas (Joy Galicia, Angeli Gloriani, Ella Rodrigues and Jhenn Angeles) meanwhile outplayed Team Fast Track. The eighth edition of NBA 3X Philippines drew a large audience that witnessed outstanding competition in the Boys Under 13, Boys Under 16, Boys Under 18, Girls Under 18, Men’s Open and Women’s Open divisions on Aug. 25-26. North Luzon dominated the annual three-on-three competition as teams that qualified in the Benguet eliminations on Aug. 11-12 emerged champions in four out of six divisions: Boys Under 13, Girls Under 13, Boys Under 16 and Men’s Open. The Greyhounds of Baguio City (Rieken Espinosa, Dreyxius Castillo, Kyle Patrick Margarata, Adam Floyd Darden) defeated Metro Manila’s Team Palanan in the U13 Division while Balon Dagupan, a team of Pangasinan school girls (Regimay Castres, Rosemarie de los Santos, Jane de Vera and Fionna Camangeg) overcame HIMC Monarchs A of Holy Infant Montessori Caloocan for the Girls U13 crown. Another team from the North, SLU A from St. Louis University Baguio (Jaudenes Parone, Dennis De Vera, Manson Lee Cerantes and Francis Almazan) dominated Braderhud in the Boys U16 category. HIMC Monarchs 2 of Caloocan (John Dominic Geli, Jeth Monteleyola, Renzo David Apolonia and Alfon Jazmin) edged out the Caloocan Supremos C in the Boys Under 18 finals. In the AXA Division, which showcased skilled athletes from the world’s largest and fastest-growing life insurance company, 2017 runner-up Go Elite (Edster Sy, Ronald Lim, Nicolo Chua and Florante Salazar) came out on top after beating the CL Warriors. 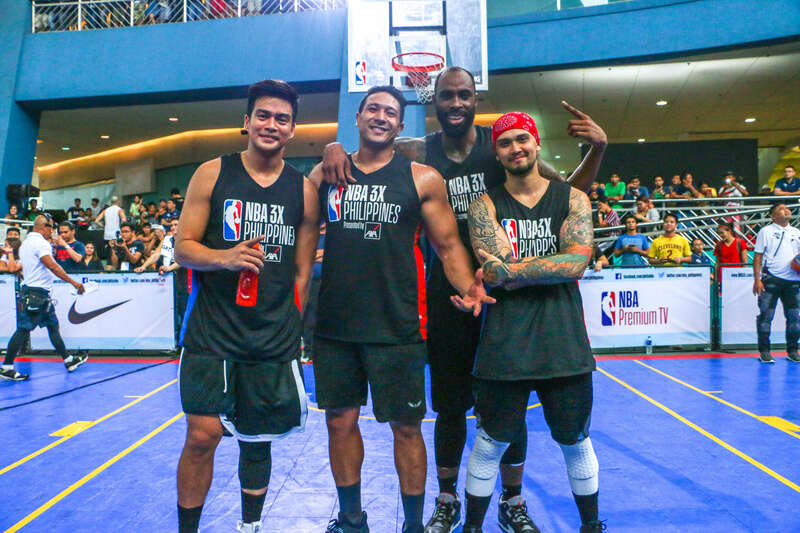 The much-awaited Celebrity Division crowned Killa Crossover, composed of former NCAA MVP Sudan Daniel, actor-model Marco Alcaraz, singer-actor Billy Crawford and model-rugby player Eric Tai as champions. David Carlos, the Slam Dunk King, stayed undefeated in the Slam Dunk competition. 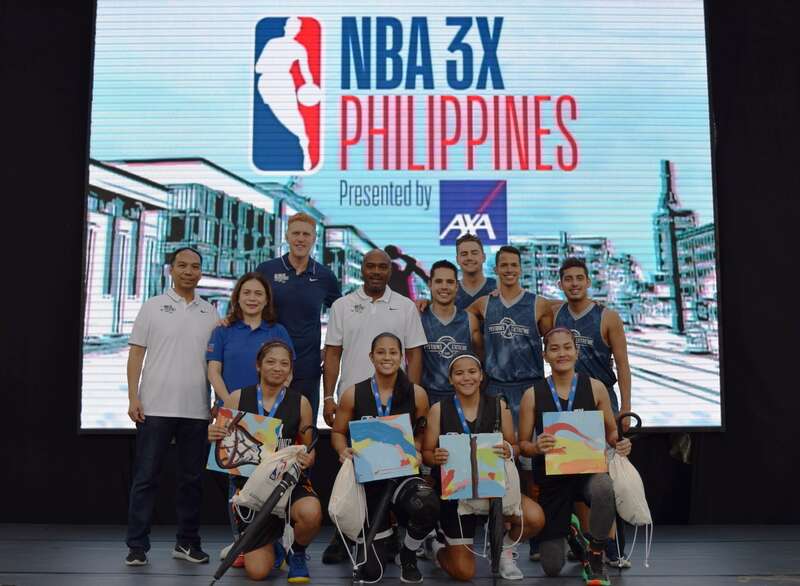 The NBA 3X weekend treated passionate Filipino fans to a competitive 3-on-3 tournament featuring men’s and women’s teams and authetic NBA entertainment. 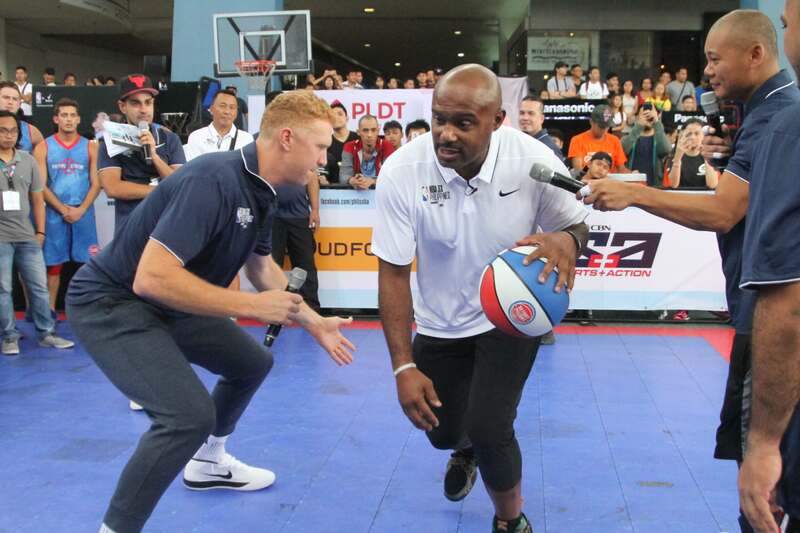 Five-time NBA All-Star Tim Hardaway Sr. and NBA Champion Brian Scalabrine of the Boston Celtics engaged the fans and helped coach a basketball clinic for 20 kids from AXA, while the Detroit Pistons Extreme Team showcased their aerial dunks and acrobatic performance. 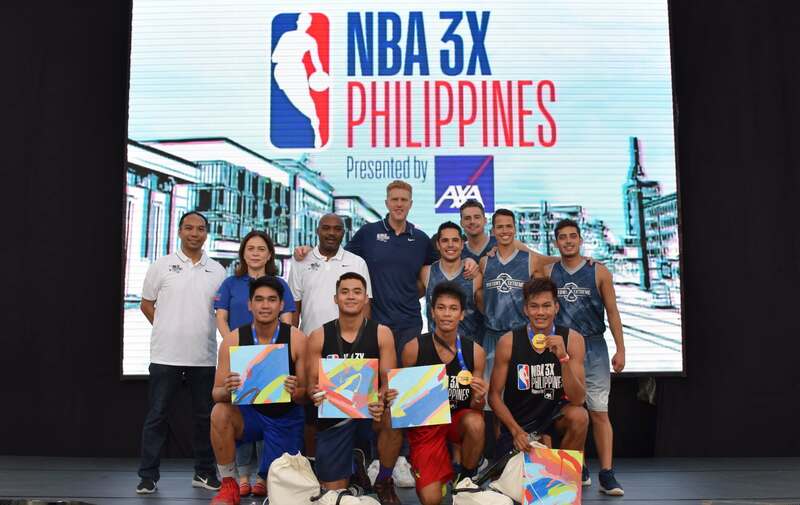 A total of 1,200 players, 456 from the Baguio eliminations and 744 from the Metro Manila qualifiers, participated in this year’s NBA 3X preliminary tournaments. AXA Philippines is the presenting partner of NBA 3X Philippines 2018. In addition, CloudFone, Gatorade, Nike, Panasonic, Rexona, PLDT and Smart will serve as official partners while SM Mall of Asia an Spalding are supporting partners. Official NBA broadcasters for the event are ABS-CBN S+A, Basketball TV, and NBA Premium TV.